The Spring Evaluation Camp , 2014 version, for the Uxbridge Bruins Jr. Hockey Club will be held at the . All Players will be guaranteed 3 on-ice sessions , more details sent when registration is received. Click on Player Profile Link , complete & return as directed, & follow directions for online payment details (Pay Pal Available April 16/14). All players must submit proper permission to skate (PTS) forms from last year’s team / organization. Comments Off on Congratulations to our Central Reps Lakefield Chiefs! Congratulations to our Central Reps Lakefield Chiefs! Lakefield sweeps the Essex 73’s to win the Schmalz Cup with a 6-2 win in game 4. Congratulations Lakefield! Comments Off on Welcome NORTH KAWARTHA KNIGHTS TO The Central Ontario Hockey League Of The OHA! Welcome NORTH KAWARTHA KNIGHTS TO The Central Ontario Hockey League Of The OHA! The Uxbridge Bruins welcome the North Kawartha Knights to the Central Hockey league. Courtesy of the OHA CAMBRIDGE, ON – The Ontario Hockey Association (OHA) and the Central Ontario Junior C Hockey League (COJHL) are pleased to announce they’ve accepted the North Kawartha Knights as a New Member for the upcoming 2014-15 season. 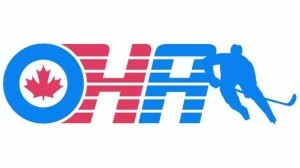 At the April 16th OHA Board Meeting, along with the support of the COJHL, the Board approved the new application. Beginning next season the Junior C (Development 2) team known as the “North Kawartha Knights”, will play out of the North Kawartha Community Centre. With so much to do in so little time, the ownership group in North Kawartha already considers a team playing in their community a big win. Crowe added the team goal in this upcoming season is to stay competitive with the other teams they’ll be facing in the COJHL. “We’ve pinpointed a lot of good local talent, we’ll need them to play hard for us against some really good hockey clubs we’re going to face on a consistent basis,” said Crowe. The Knights enter next season as the 7th team in the COJHL. Comments Off on Central Ontario Lakefield Chiefs Adavance! Central Ontario Lakefield Chiefs Adavance! Our Central reps the Lakefield Chiefs advanced to the Schmalz Cup Finals Friday Apr.11th , defeating the Grimsby Peach Kings in 4 straight games. Lakefield will now play the Essex 73’s who most recently defeated the Wingham Ironmen in 5 games. 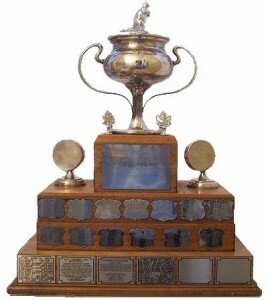 Click on the Schmalz Cup link on the Home page for the schedule and scores. Good luck to the Chiefs from the Bruins!